In 1991 poet/critic Dana Gioia asked “Can Poetry Matter?” His essay ran in The Atlantic and drew attention by the bucketful. That essay became the title piece for a book by the same name and I am rereading it this week. I was tidying my book shelves and felt the pull of his question. It’s akin to what I spent hours and hours on this past summer, poetry of witness, poetry that connects the poet to the world outside the private writing space. As Gioia points out, American poetry is marginalized and one of several reasons is an intense concentration on the personal lyric, short and hermetic, not something that anyone but another poet values. Yet, yet, I cannot let it go. I want to help return poetry to the public, not by pandering, not by polemic, but by truth telling in the most potent language I can discover. It’s no longer enough to delight in the private epiphany. Last evening the Boulder Book Store hosted, as it does monthly, a poetry book club. 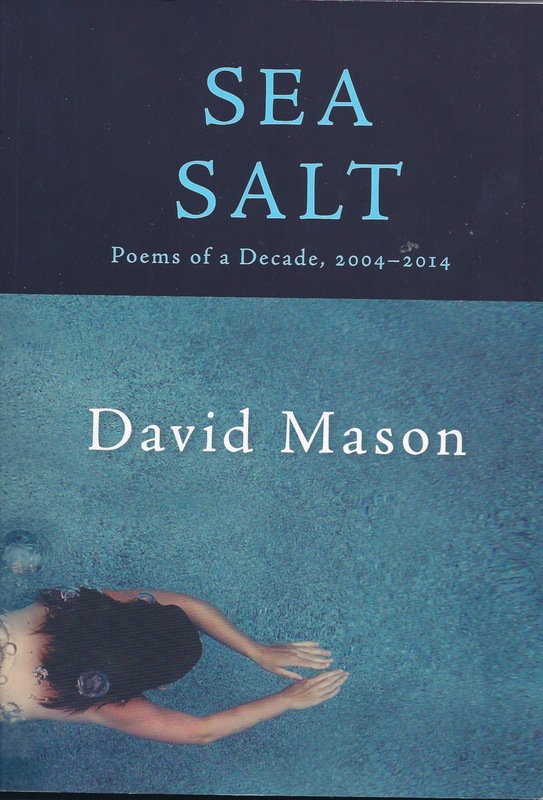 We had read David Mason’s Sea Salt, and David came to talk with us about the book and about his practice and approach to poetry. He said many useful things. He said that we must at times embed our personal lyric within the context of the national, the societal, the human condition, even though “Our troubles/happened, but were smaller than a country’s” (from “The Fawn”). The overwhelming presence of personal lyric in our time has done poets some damage, but it’s not too late to rebuild our relationship with readers, whom we desperately need, and who need, whether they know it or not, poems that demonstrate the precision and the music of a shared language, poems that can weave a community out of a disparate, desperate population.